Report tool for software using FlexNet / FLEXlm and many other network license systems. Free trial available. Description: JTB FlexReport is a report tool for applications using FlexNet / FLEXlm (flexlm license manager), IBM LUM (IBM License Use Management), DSLS (Dassault Systèmes License Server), SPLM (Intergraph SmartPlant License Manager), SLM/Sentinel LM/Sentinel RMS/Sentinel Protection Server/SafeNet Sentinel (SafeNet / Gemalto), LM-X, Solidworks SNL License Manager, T-Systems license manager product LICMAN, Vertex Systems, MathLM (Wolfram Mathematica license manager), RLM (Reprise License Manager), Ranorex, Venturis (TRICAD), Altium, Primavera from Oracle, GHSlm (Green Hills Software License Manager), LSTC-Dyna (LS-DYNA / Ansa / mETA / Livermore Software Technology Corporation), BETA LM (BETA CAE Systems), PKit license manager (PersonalQM / Method Park / Stages) or 12D software licensing. Produce graphic or detailed reports that will help you to manage and forecast license usage at your company. Is SAMsuite, SAMreport or FlexNet Manager a too expensive product or SAMreport-Lite not enough? Do you want better license statistics? Then take a good look at JTB FlexReport. HTML Report tool for software using FlexNet / FLEXlm. Freeware. Description: JTB FlexReport LT is a freeware product from JTB World to create HTML reports on current usage of FlexNet/FLEXlm licenses. App for AutoCAD to edit attributes across drawings. Trial available. Description: This powerful AutoCAD app gives you a lot of options to make changes on multiple drawings. Description: Edit properties on multiple sheets in the Sheet Set Manager with ease. If you want to change properties like a revision, date or name on two or more sheets at the same time SSMPropEditor is for you. Description: Merge, purge and convert Sheet Set DST files for AutoCAD, BricsCAD, GstarCAD, NanoCAD Plus/Pro and any other CAD software using Sheet Set or Project Navigator DST files. Description: JTB SmartBatch (aka SmartPurger) is a batch and script utility for processing multiple AutoCAD drawings with full control. Execute LSP or SCR files on multiple drawings. JTB SmartBatch handles crashes so the AutoCAD batch processing continues to the end and leaves bad drawings to be corrected. Also works with BricsCAD, GstarCAD and others. Automate creation and updates on drawings. Free trial available. Description: Multiple drawings can be automatically created from a typical drawing or updated based on a control file that can be created with an Excel template. Make the changes in Excel and let the program do all the work for you. This is a real time saver if you need to make adjustments on hundreds or thousands of drawings. Description: Now you can use AutoCAD together with your external database and sync values back and forth. Description: Now you can use AutoCAD Architecture or AutoCAD MEP more fully in your BIM process. Property Set values can automatically be updated with values that you have available and updated in an external database. Description: JTB Rebar is a BIM-like Rebar Callout - Automatic Rebar Table - Dynamic Beam Detailing app for AutoCAD. Description: Copy a rectangular window of selected objects out from your drawing, and trim everything outside the window's edges. Freeware showing only DWG version available. Description: Show the DWG properties in Explorer columns or even in file dialog boxes within AutoCAD or other CAD products. Windows Explorer extension for Revit files. Description: Show the Revit version and Revit build in Explorer columns or even in file dialog boxes within Revit. Description: Show the DWG version and DWG properties as an Infotip (tooltip) in Explorer or even from file dialog boxes within AutoCAD or other CAD products. Batch publish PDF and/or DWF. Free trial available. Description: This AutoCAD app simplifies the process of publishing (plotting) sets of drawings to DWF and/or PDF. AutoCAD app for steel shape drafting. Trial available. Description: JTB Steel is an app running inside AutoCAD®, adding powerful command features to help you draw simple and complex steelwork frames and details efficiently. App for AutoCAD, BricsCAD and GstarCAD to align objects. Trial available. Description: Align text or other objects on lines, arcs, polylines, featuring many other "plus" commands. App for AutoCAD and BricsCAD to sort tables. Trial available. App for AutoCAD and BricsCAD to manage drawings with many layouts easier in a palette. Trial available. App for AutoCAD to simplify layer override settings within viewports. Trial available. Description: If you use VPLAYER frequently setting up overrides for linetype and lineweight of layers on viewports, this app will help you do it quickly. App for AutoCAD, BricsCAD and GstarCAD. Trial available. Description: You can insert text bubbles to lines, curves, or draw leaders with it, or quickly making a schedule from text bubbles and other blocks. App for BricsCAD. Trial available. Description: JTB Layer Palette is very handy tool design especially for BricsCAD. Now you can manage layers in BricsCAD without leaving drawing screen. Customizable view, multiple layers tasking, this will make managing layers much more easier. Description: JTB XClipClean is an Xclip-cutter app for AutoCAD to clean up xrefs or blocks that been clipped so that the information that is outside the clip is removed. This is useful when you need to remove hidden geometry and minimize DWG file size. AutoCAD allows blocks and xrefs to be clipped using the XCLIP command. Sometimes for different reasons you have to clean up the blocks or xrefs that have been clipped. JTB XClipClean can help you with that by deleting and trimming geometry that is outside the xclip boundary. DimNotes makes it easy to add dimension notes to dimension objects in AutoCAD. Free trial available. Description: The list with notes is saved to a file and can easily be edited. The note can be added to different locations, before, after, above and below existing dimension text. Associative dimension value is retained. Highlight edited dimensions in AutoCAD. Free trial available. Description: Dimension Patrol highlights dimensions in drawings for which the user has customized the dimension text and thus this app helps to ensure the quality of the drawings. Description: The OffsetInXref app can be used to enable the OFFSET command to work with nested line contents of blocks and externally referenced drawings, associated arrays, dimensions and tables. For AutoCAD or verticals. Free trial available. Description: JTB Spot Elevation is an app to insert surveying Spot Elevation blocks and manage them on an Edit Properties spreadsheet. Description: JTB Layouts2PDF help you print selected layouts with selected plot style to 1 pdf file. Your current Page Setup on each layout will be used. Add shortcut to Current Folder in AutoCAD file dialog boxes. Description: Everytime you want to open a drawing, or attach external references, insert drawing as block or want to create a block, you will have a Current Folder item on the left of your file selection dialog box (in the custom places area). Description: The JTB Catenary app for AutoCAD makes it easy to create or draw a catenary curve as a polyline by specifying the start and end point and the length and optionally a diameter (width) or sag. Description: When the AutoCAD variable OSNAPZ is changed many have found it useful to have a more visual change to indicate its state. In verticals like AutoCAD Architecture you have a small button that indicates the state of the “Z lock” but some might want to even have the background color change just like the Block Editor changes the background color. With OsnapzBG loaded any change of OSNAPZ will also change the background and other specified colors depending on if OSNAPZ is set to 0 or 1. Change drawing window colors automatically when OSNAPZ is changed. Description: When the AutoCAD variable OSNAPZ is changed many have found it useful to have a more visual change to indicate its state. In verticals like AutoCAD Architecture you have a small button that indicates the state of the “Z lock” but some might want to even have different drawing window colors change just like the Block Editor changes the background color. With OsnapzBG Plus loaded any change of OSNAPZ will also change drawing window colors depending on if OSNAPZ is set to 0 or 1. For AutoCAD Architecture or verticals. Free trial available. Description: TimberTool makes it easy to convert closed polylines into mass elements and makes the bounding box width and depth correct for scheduling purposes. Description: This app allows you to specify a block that will change its display when plotted to indicate whether the drawing had a valid digital signature at the time of plotting. Description: The Spiro freeware app can be used with Autodesk AutoCAD to create Spirograph™-like patterns. Description: Makes it possible to change the title of AutoCAD based products. Description: Close License Borrowed Dialog boxes automatically. Educational Plot Stamp Finder for AutoCAD DWG drawing files. Trial available. Description: Find and identify AutoCAD drawings (DWG, DWS, DWT) that contain the educational stamp. Description: JTB Quick Perspective will transforms Points, Lines, straight Polylines and "landscape" Blocks to perspective view drawing, all in 2D working space. 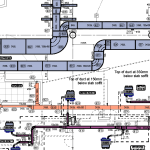 Description: app for HVAC and Piping design work in 2D and 3D for AutoCAD and BricsCAD. Description: If your files that exist in a Sheet Set have moved, been relocated, repathed or the like this tool comes handy. Description: AutoCAD Architecture Classification Definitions cannot be exported or imported. With the help of ClassificationDefinitionTools this is possible.Some classification structures can be very large and complicated and this tool can help to avoid the need to type everything manually. Description: Import, create and export ListDefinitions quick and easy for AutoCAD Architecture.